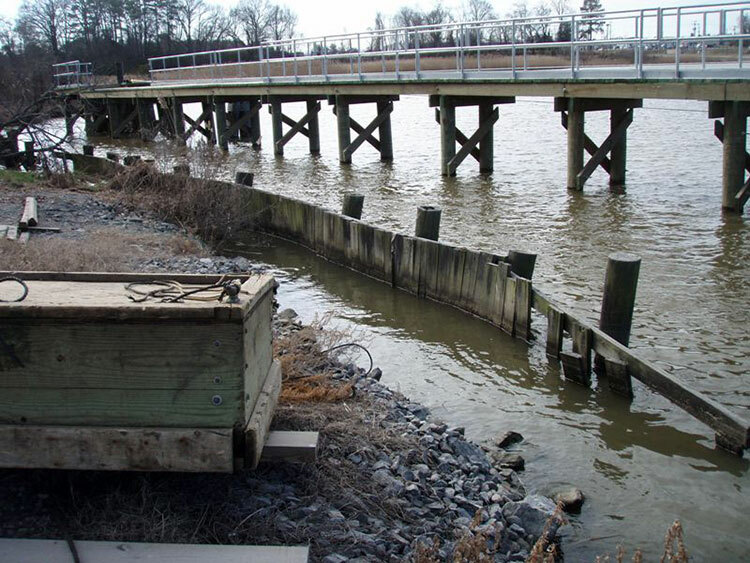 The project was a design build project. 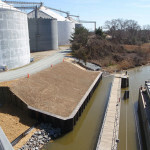 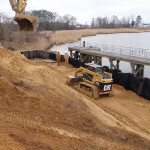 Crofton worked with Collins Engineering to determine the most cost effective means by which to stabilize the existing shoreline. 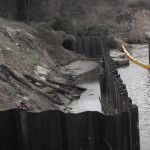 After performing soil borings, it was determined that the sheetpile wall could be cantalieved instead of needing tie backs which was a big savings to the Owner. 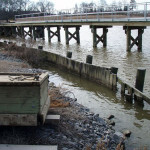 The final design consisted of replacing approximately 150 linear feet of deteriorated timber bulkhead and placement of approximately 1500 tons of sand fill. 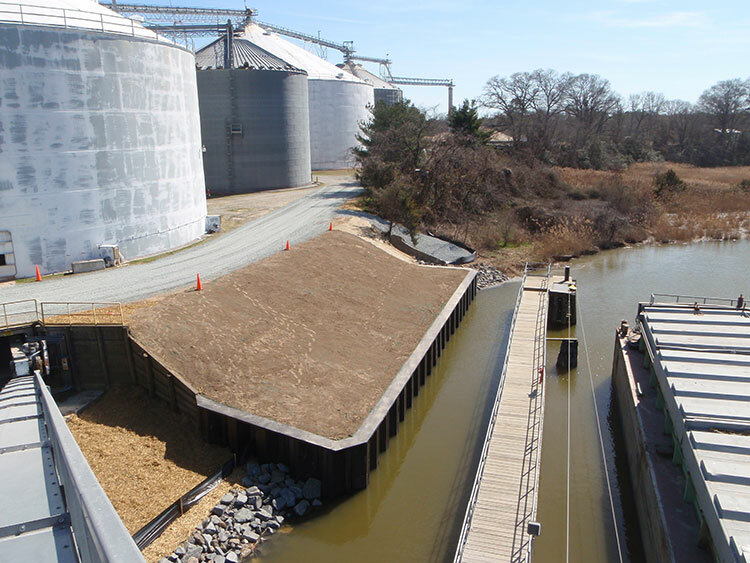 Crofton installed AZ-26 700 sheet pile 2’ outboard of the existing timber bulkhead along with a steel channel cap. 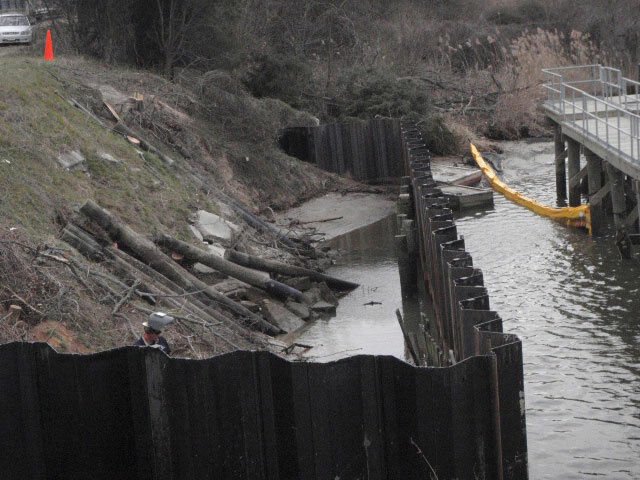 Once complete, the existing timber bulkhead was removed and sand fill was installed behind the sheet pile bulkhead. 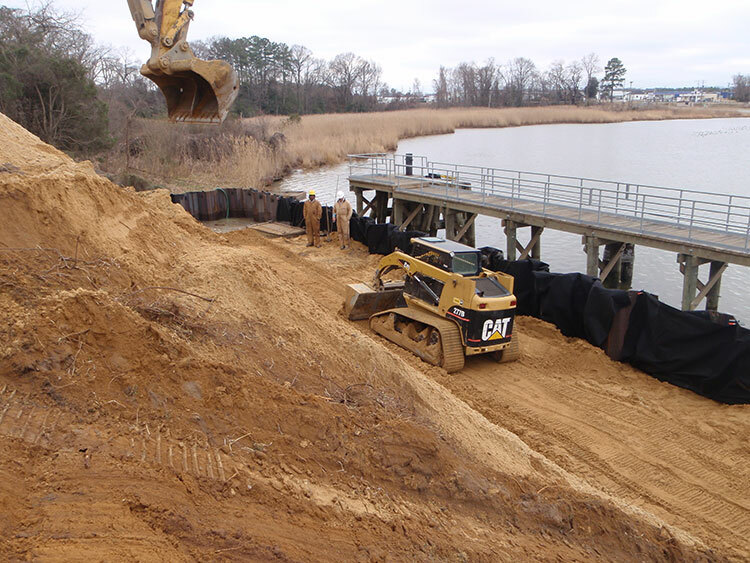 Once the embankment was stabilized, 150 tons of VDOT Class 1 rip rap was placed at the extents of the project to stabilize the shoreline.